My daughter is getting married next week and I want to look beautiful for her special day. I have a pretty dress and shoes to wear to my daughters wedding. I also want to have beautiful skin as I want to look great. One way to make sure my skin is picture perfect for my daughters wedding is to use a mud mask on my face. 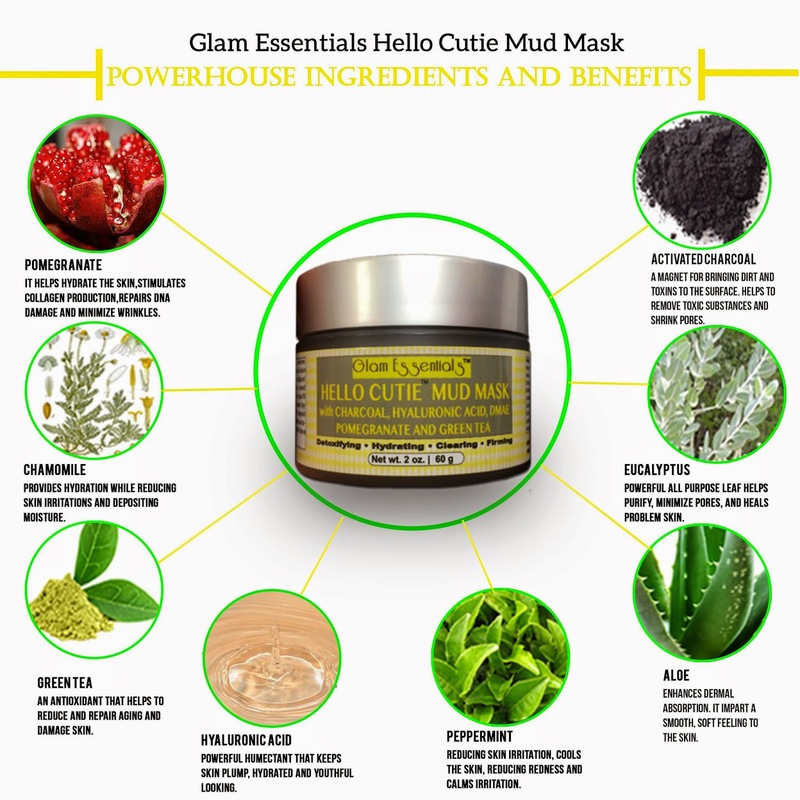 I was sent a jar of Hello Cutie Mud Mask from Glam Essentials and I knew this mud mask would help my skin look great for my daughters wedding. 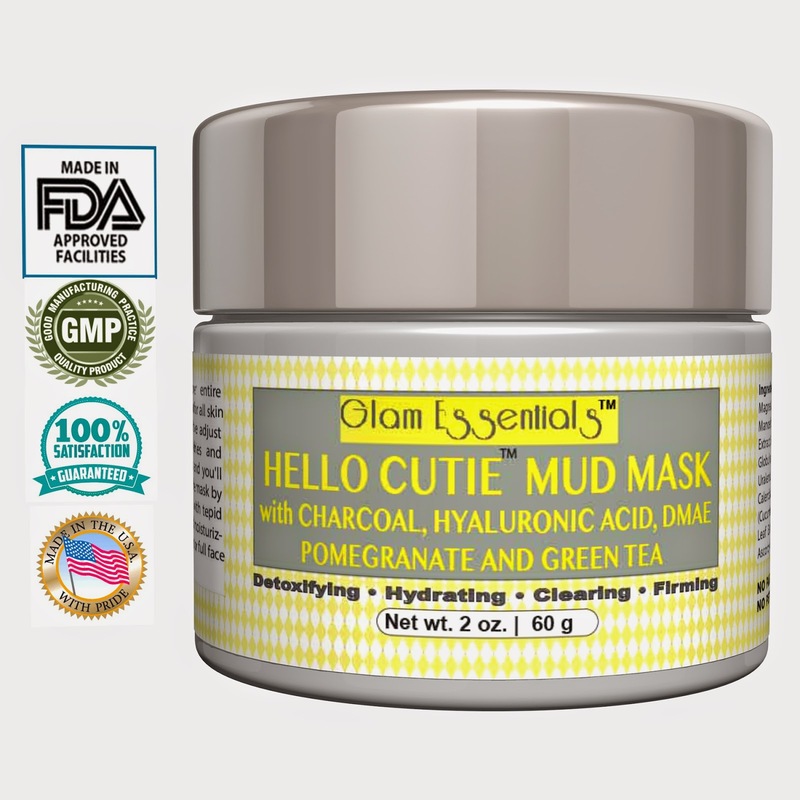 Hello Cutie Mud Mask is no ordinary facial mask. This mask has ingredients like Hyaluronic Acid, DMAE, Vitamin B3, Pomegranate and Green Tea Extract, Cucumber, Peppermint, Eucalyptus and Chamomille in it to make your skin beautiful. The mask was easy to apply and did a great job of cleaning my pores. My skin felt refreshed and tighter after I used the mud mask. Don't I look pretty with my mask on? I just had to kiss my boys, they thought I was a zombie. 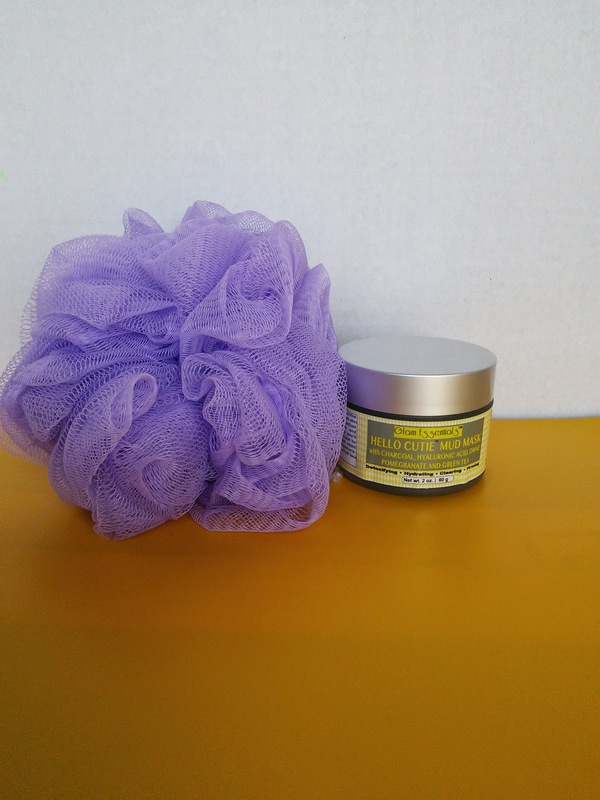 I love that Hello Cutie Mud Mask contains no parabens, petroleums, sulfites, or other harmful ingredients in this cute little jar. This mask is great for acne, eczema, and dry dull skin. The mask will Leaves your skin healthy, clearer, firmer, tighter and brighter. The mask is a all natural and hydrating mud mask and formulated to specifically detoxify environmental toxins, shrink pores, clear acne and repair damaged skin. This mask is perfect for the T-zones and will not dry your skin out. You can use it on your whole face or as a spot treatment. Hello Cutie Mud Mask will give me beautiful skin for my daughters wedding. Watch a video of my mask experience. I love the mask! I wish I had more time to use them, I just forget about it but I really like using them. This one sounds like it has good ingredients in it. Congrats!!! Having something great for your skin is so important!! Thanks for the review! Great article and kudos to you the pic of you wearing that mask! I absolutely love mud masks! They make your skin ultra smooth afterwards! Exciting times in your family... Congrats! I love mud mask! Congrats on your daughter's wedding! So exciting! I see that it has aloe & peppermint in it, I bet that feels amazing! Congrats! I love mud masks. They draw out all them yucky impurities. Yes, you look very pretty with that mask on and off. I always try to kiss my girls when my face is covered with a mask too. This one sounds like a great option for me. A big congratulations on your daughters wedding. Enjoy this special day! Congrats to your daughter! Love how pretty you look with the mask on but maybe don't wear it to the wedding!! All the products sound amazing! I love doing facial masks. Thanks for the review, and a big congratulations to your daughter (and you) on the wedding! congratulations! that is wonderful news. It's nice when they grow up, but sad too! the face mask looks healthy to use! It looks refreshing and smooth. congrats to your daughter! I have been looking for a face mask and that one looks and sounds like it would be great!